Meet Able, the rescue kitty with no front legs, and his best friend Fin Fin, a female cat who is paralyzed from the hips down and can’t use her hind legs. The two felines with opposite leg problems complete each other and are simply inseparable. But all of the bad things are in the past for this adorable duo, for now there’s nothing to stop them. 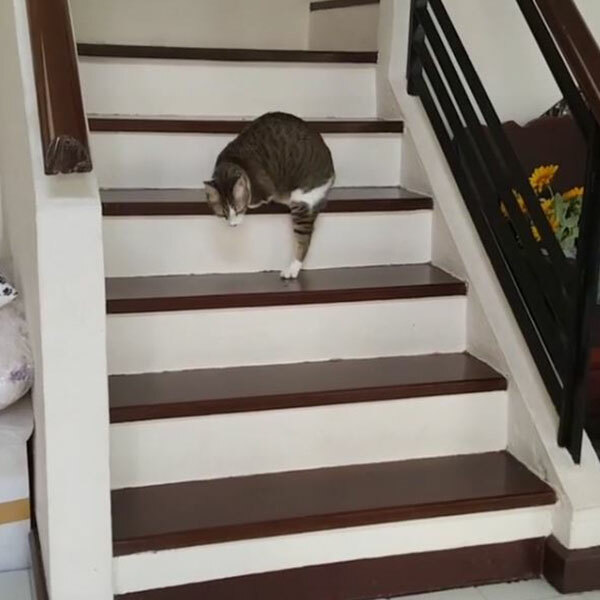 The kitties are redefining the concept of ‘disabled’, being able to do almost everything – all while having fun, loving, and supporting each other. If you want to learn more about these fur babies, Bored Panda previously wrote about Able here.